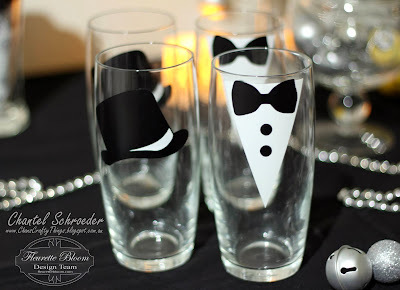 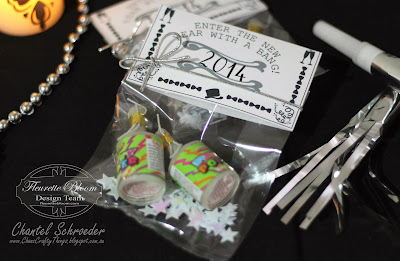 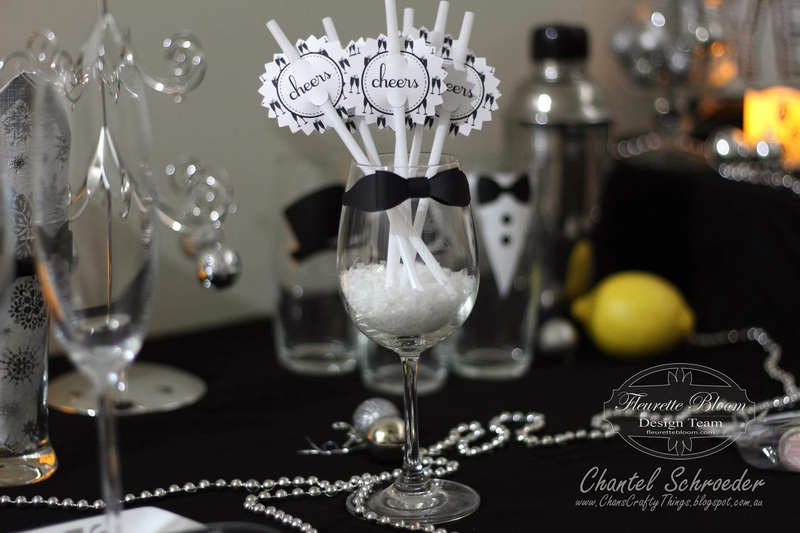 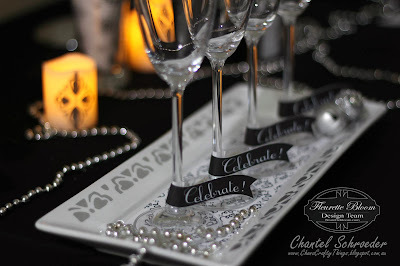 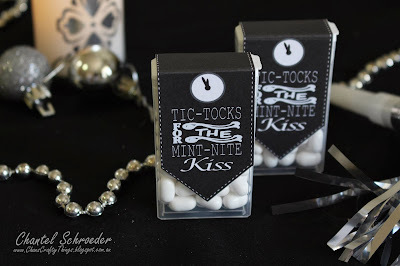 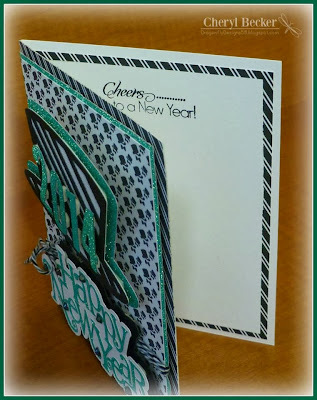 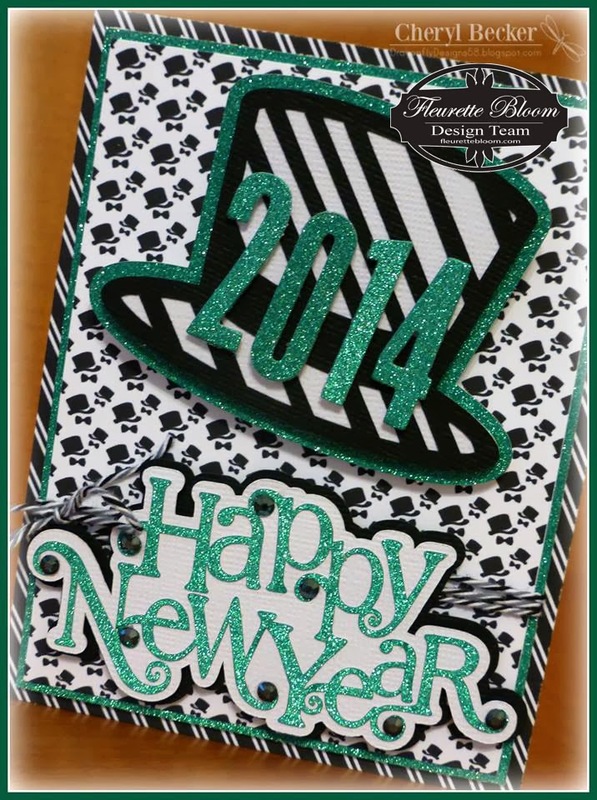 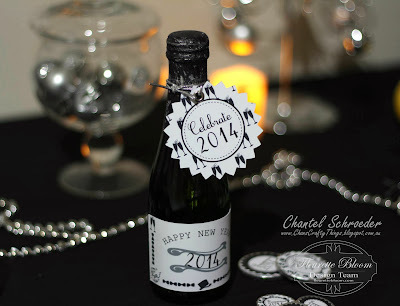 Celebrate the New Year in style with these elegant and fun decorations created by DT Member Chantel of Chan's Crafty Things!!! 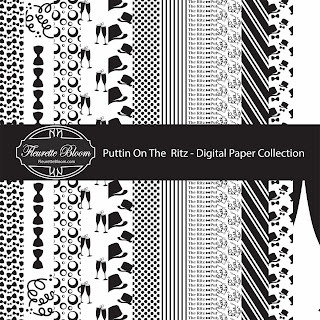 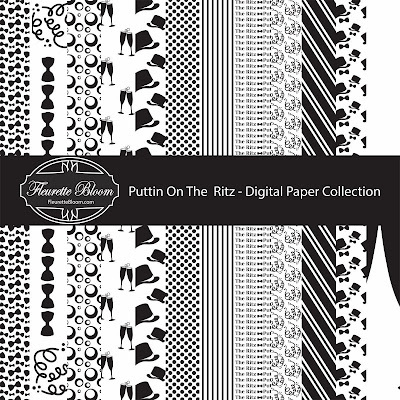 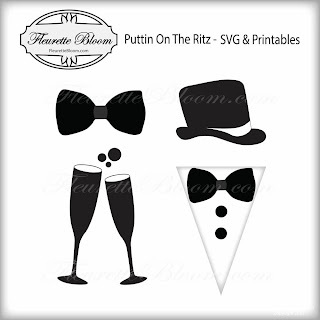 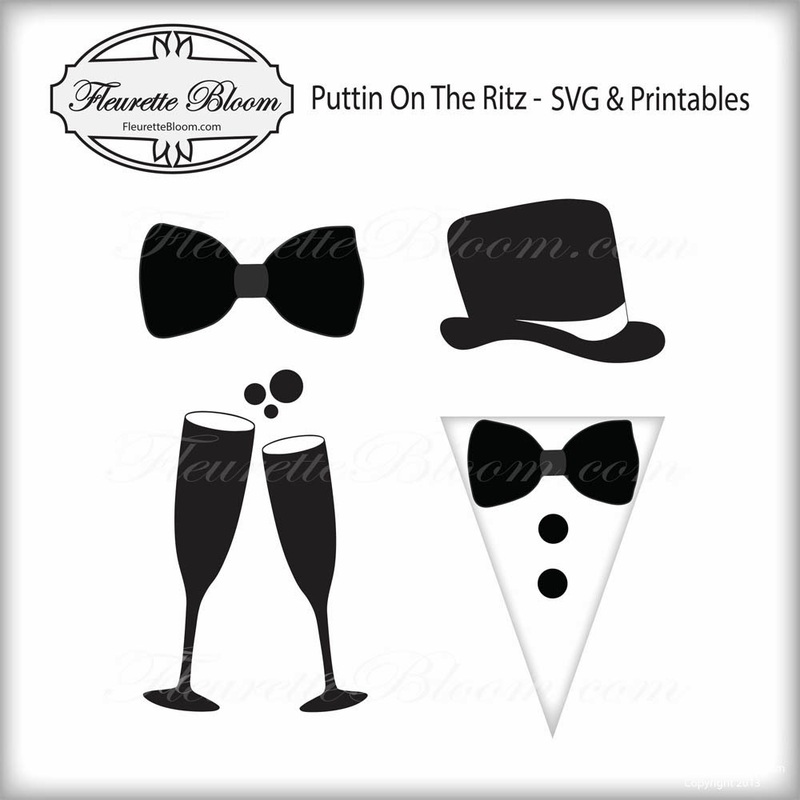 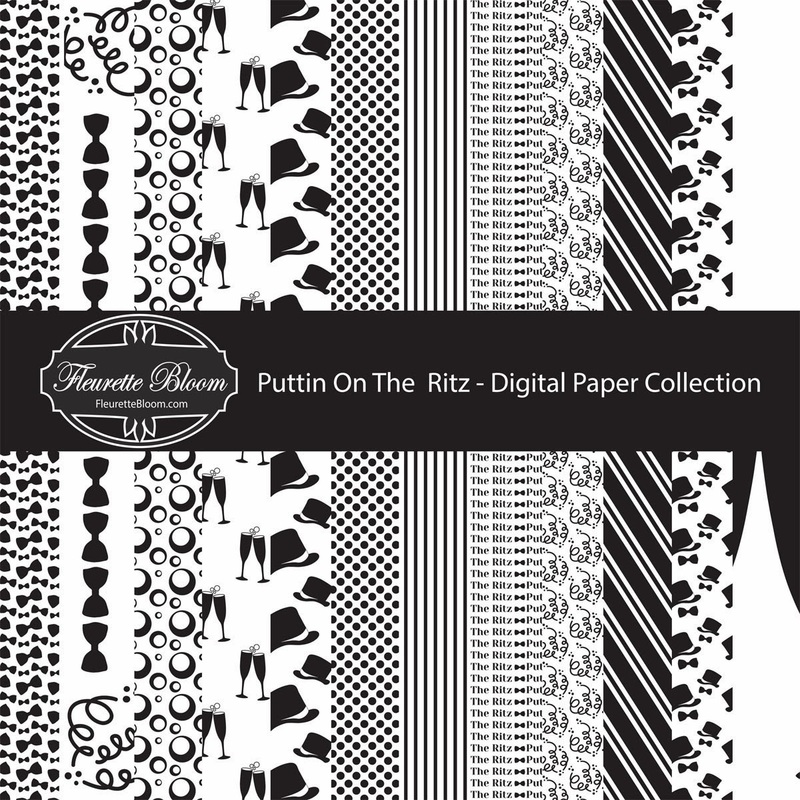 She has really put together an elegant party using the new Fleurette Bloom "Puttin On The Ritz" paper and New SVG/Printables collections along with some beautiful SVGCuts files! 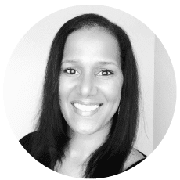 You must see Chantels blog for all the details how you can re-create this for you and your friends, you will be the talk of the town! 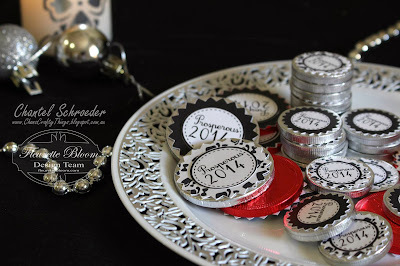 Believe me you won't want to miss this!!! 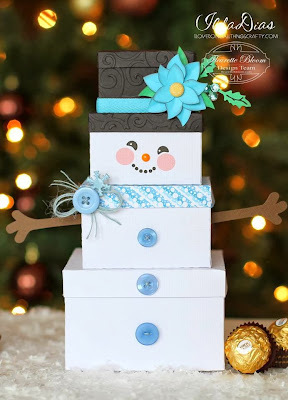 How creative and sooooooo adorable!!! 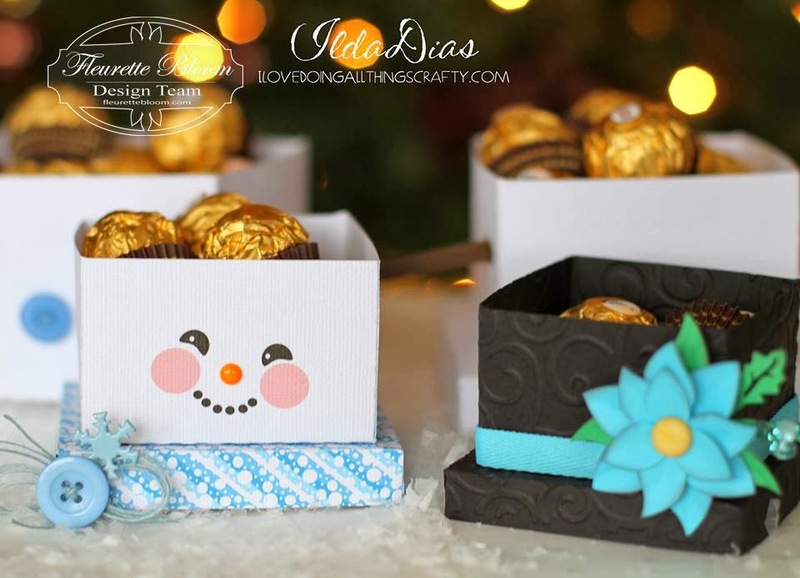 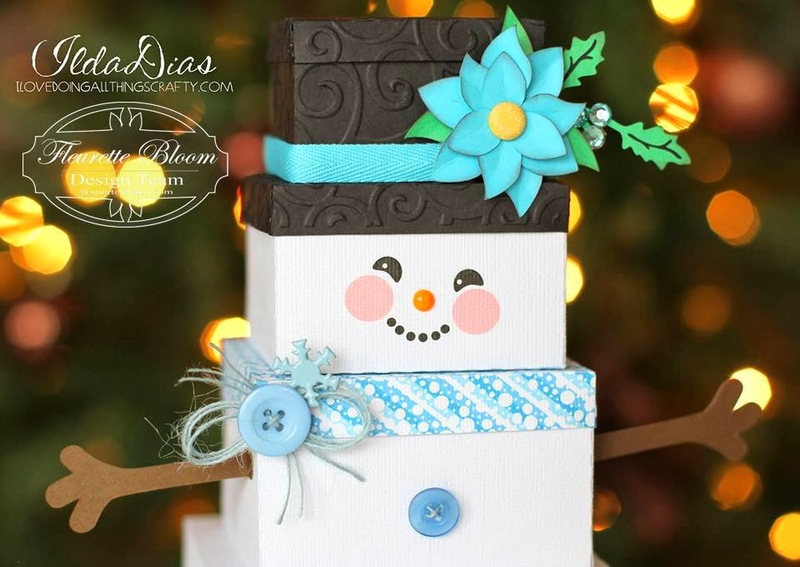 I love the Snowman treat box Design Team Member Ilda created using our Nesting Gift Box SVG Collection along with a few of our other files, so easy to make too!!! See all the details on how you can make your very own @ (I) (L)ove (D)oing (A)ll Things Crafty by: Ilda :) It's cute and useful!!! 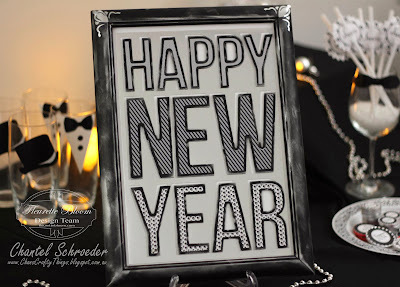 It's almost New Years!!! A time to reflect on the year that has past and a time to look forward to what the new year will bring!!! 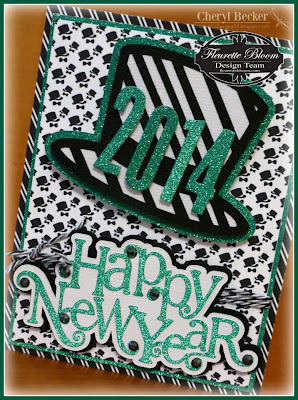 Wishing you all the best this coming year!!! 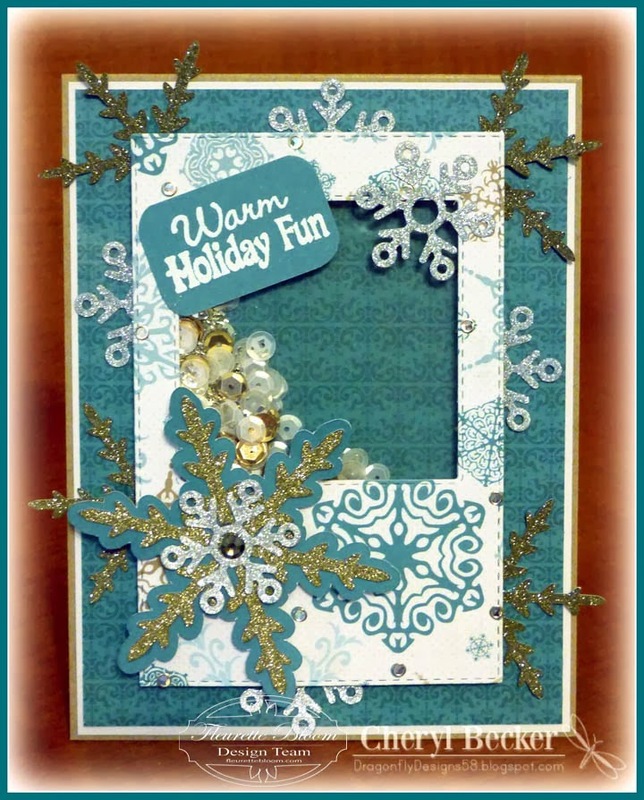 Pop on over to Cheryl's Blog Dragonfly Designs for all the details! 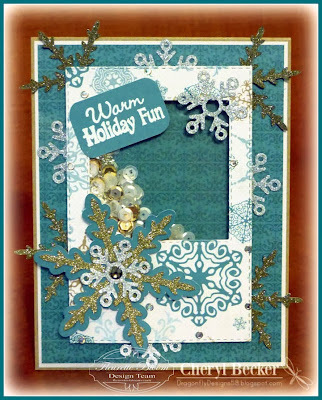 We even have a fun project to share with you too!!! 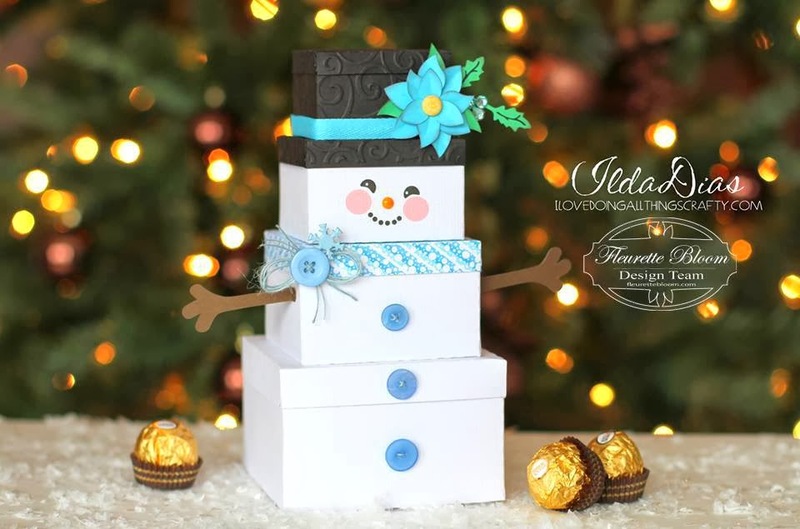 Chantel has created this beautiful gift set using our new "Let It Snow" digital paper collection along with the new "Nesting Gift Boxes". 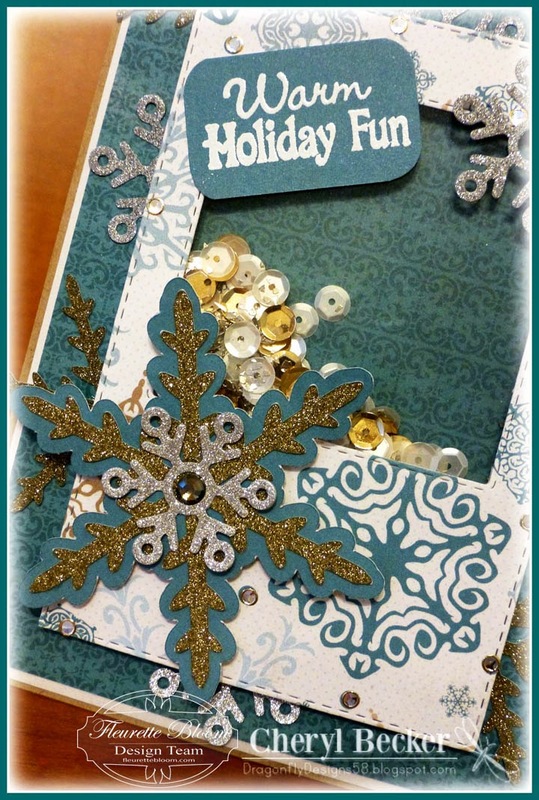 She even made a really cute tag to go with it! 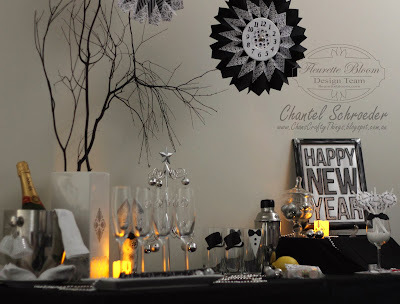 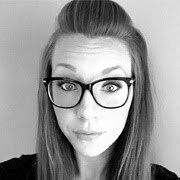 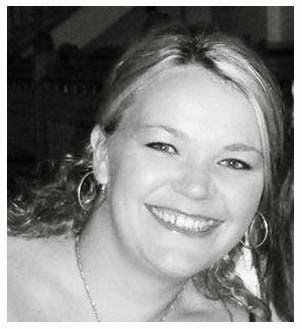 See all the details on her blog, she has lots of great pictures and tips!!! 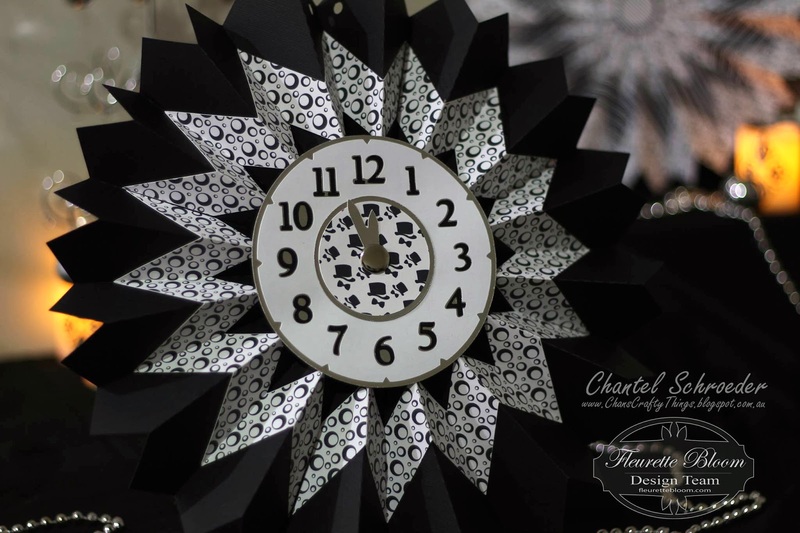 @ Chan's Crafty Things!!! 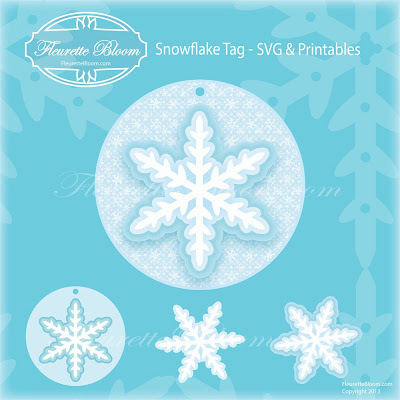 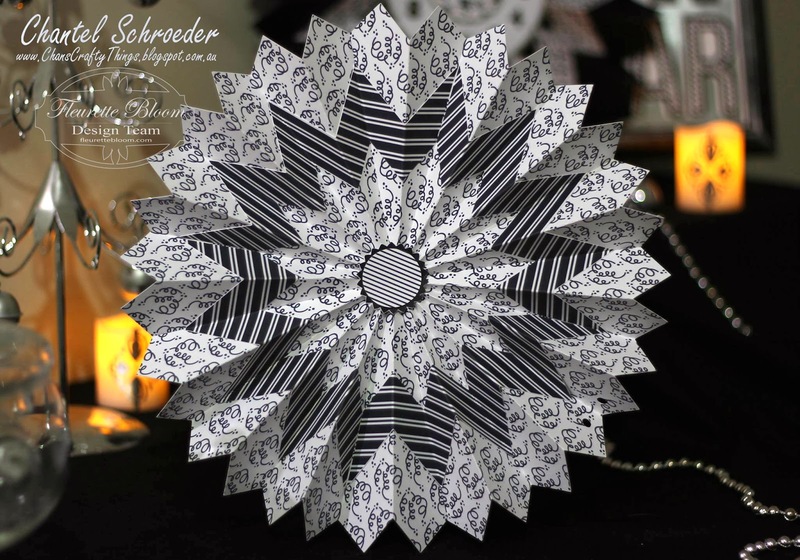 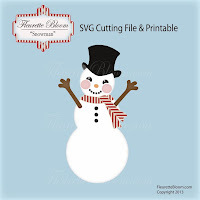 Quick & Easy Fleurette Bloom "Snowflake" SVG Cutting file & Printable! 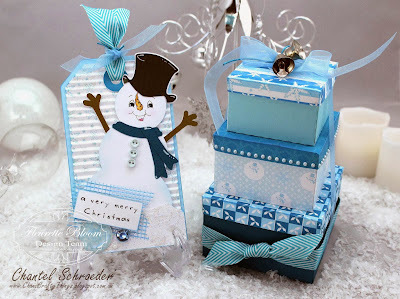 In a hurry and need a gift tag! This Snowflake Tag is just the thing! 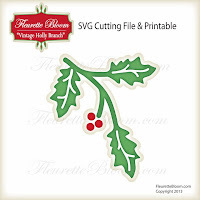 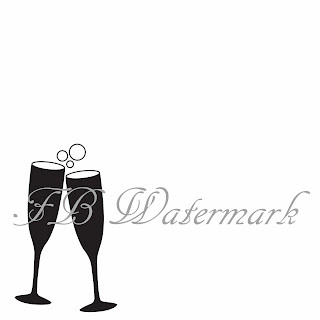 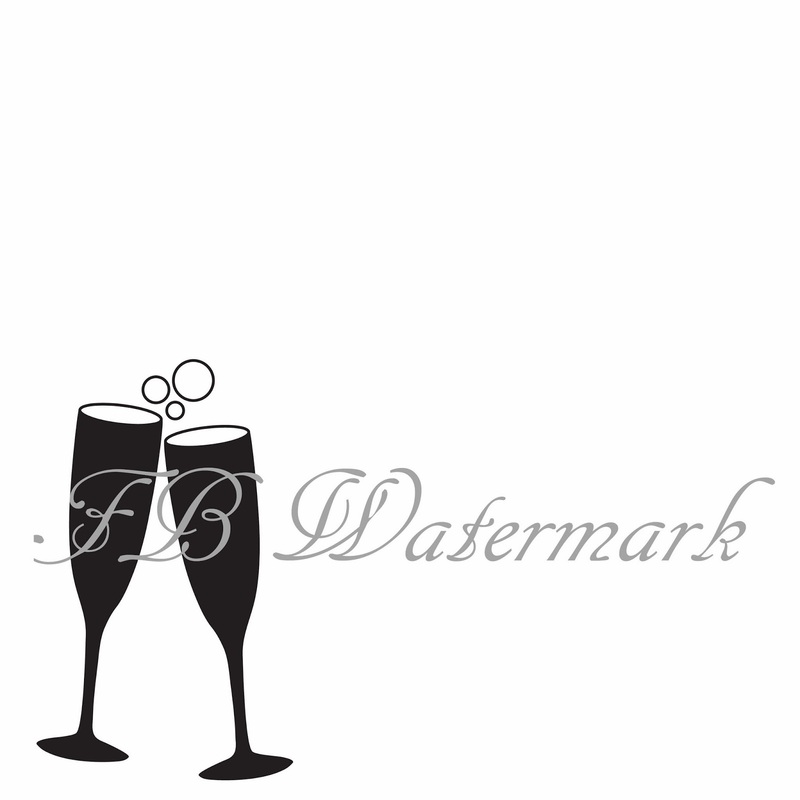 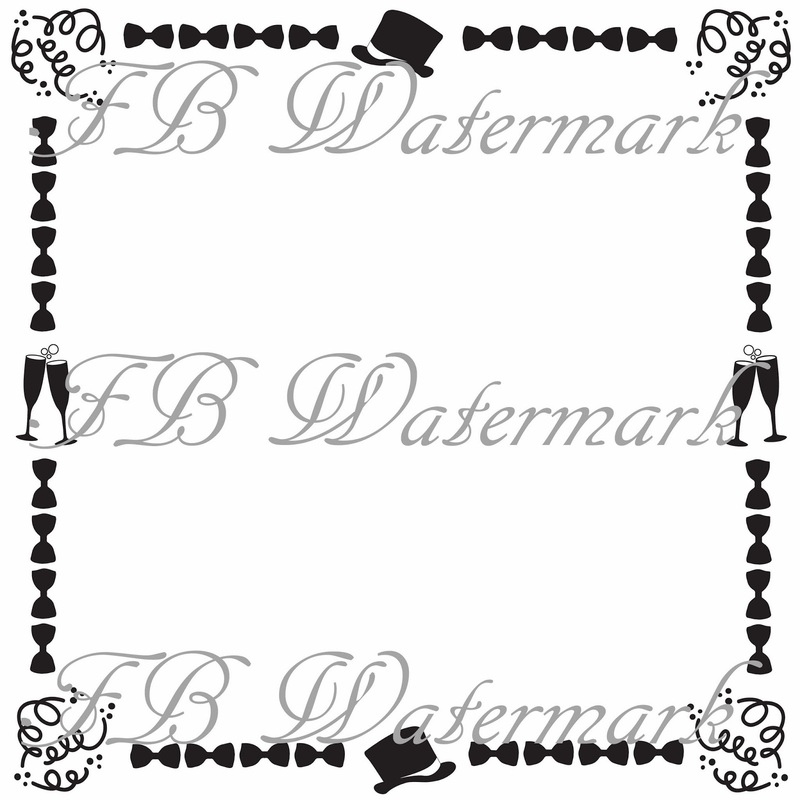 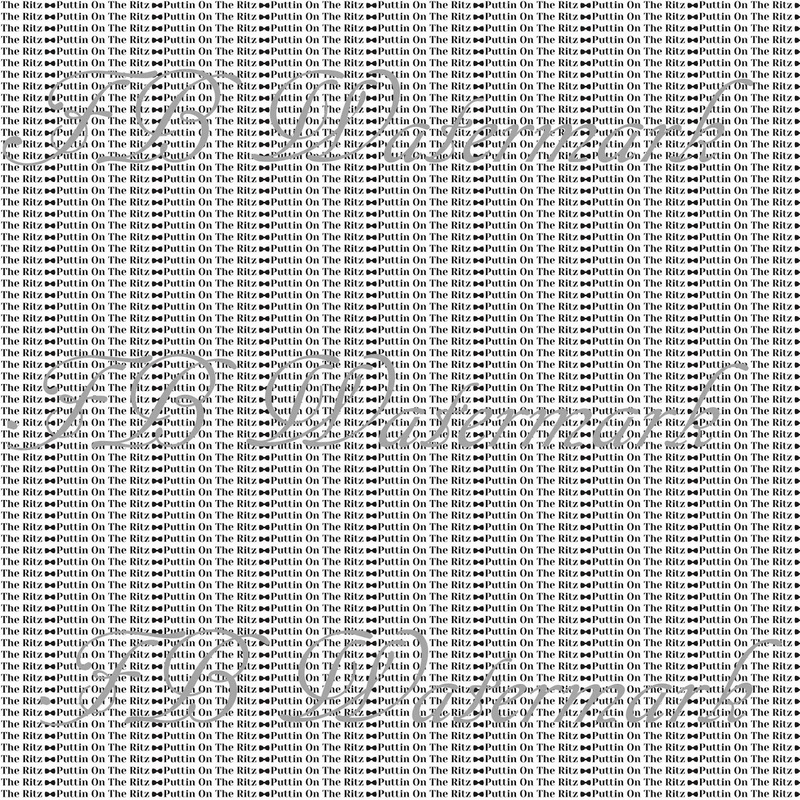 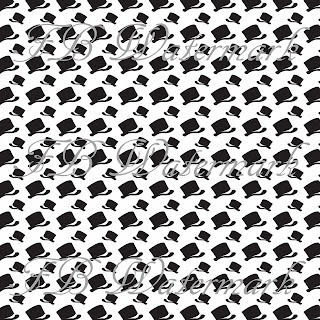 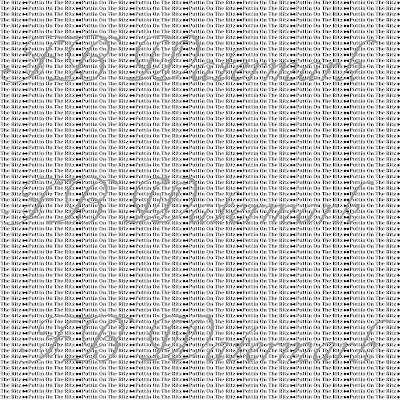 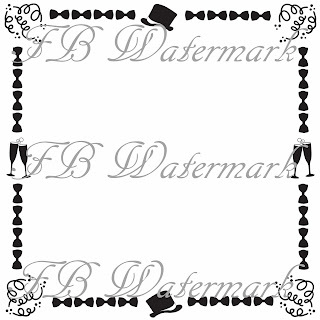 Use the png file with the tag all complete, just print it, cut it, add some embellishments, a ribbon and you are all set! 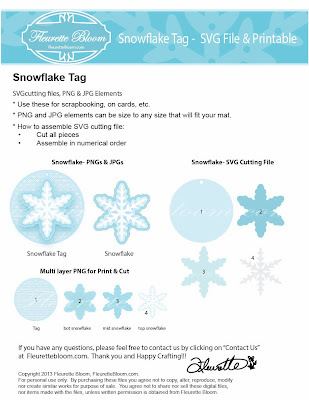 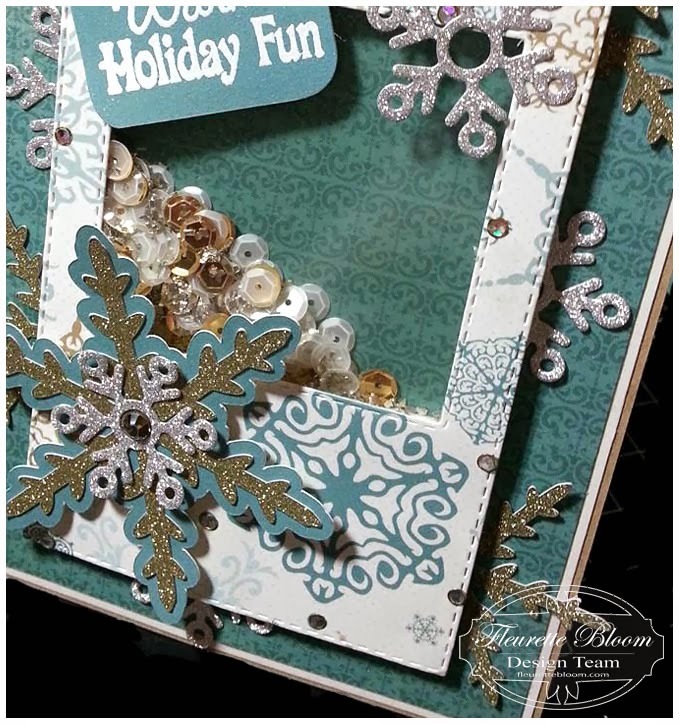 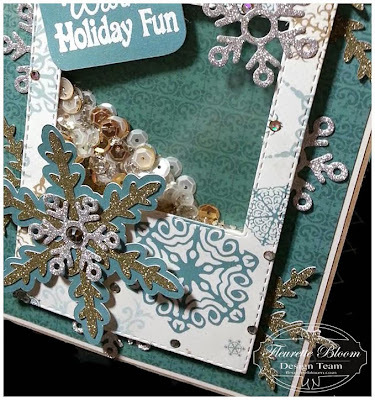 Have a little more time, use the two separate printables (snowflake along with the blank tag) to give it a bit of dimension. 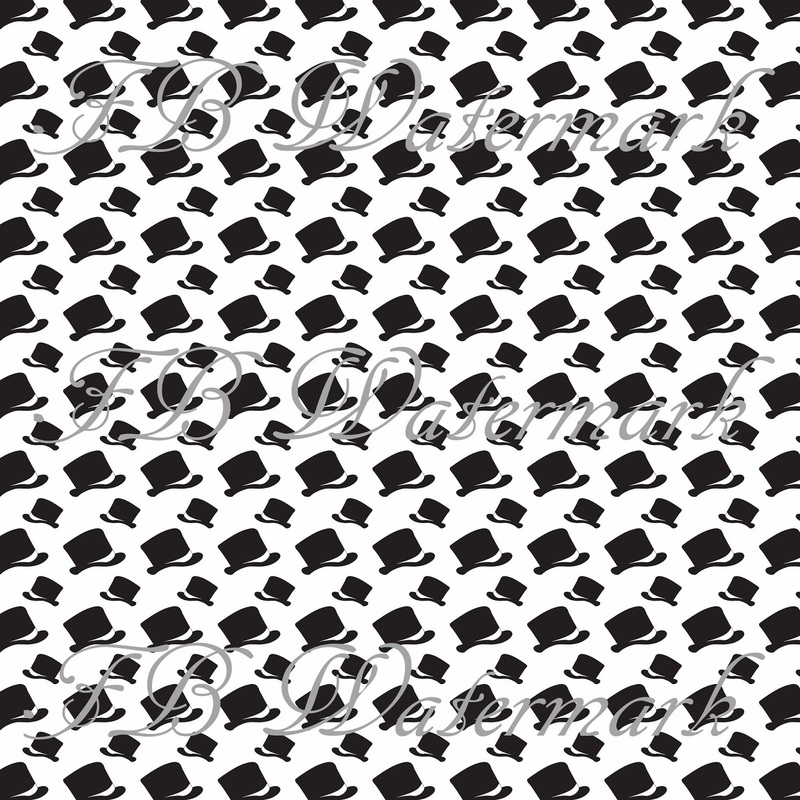 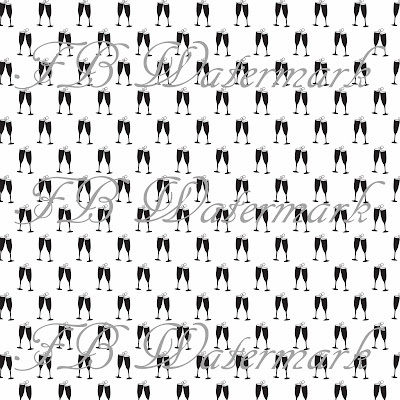 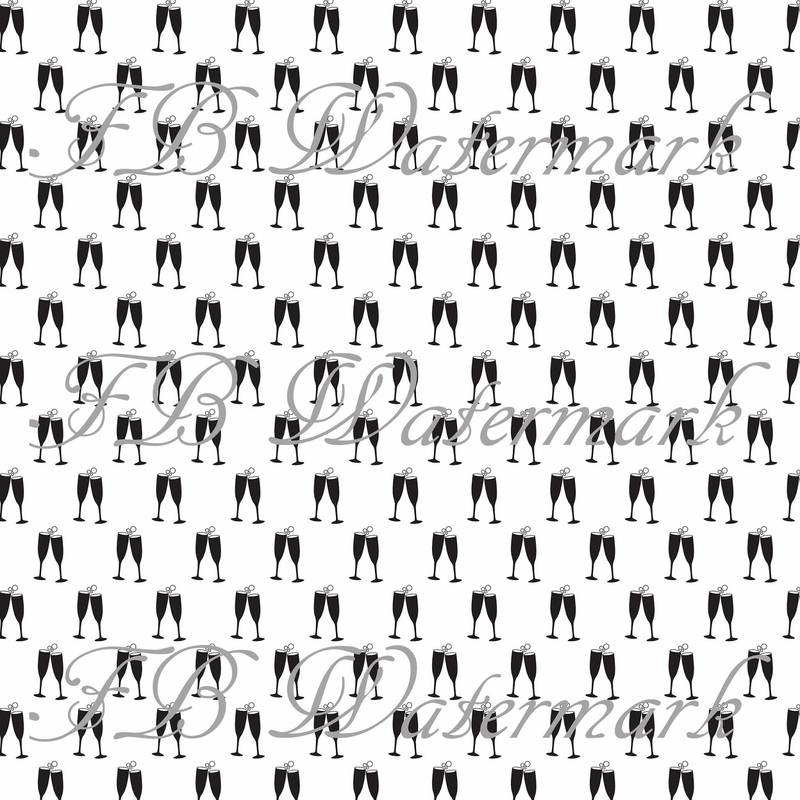 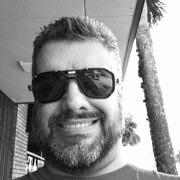 There is even a multi layer png so you can give it extra dimension using the patterns and colors we chose. 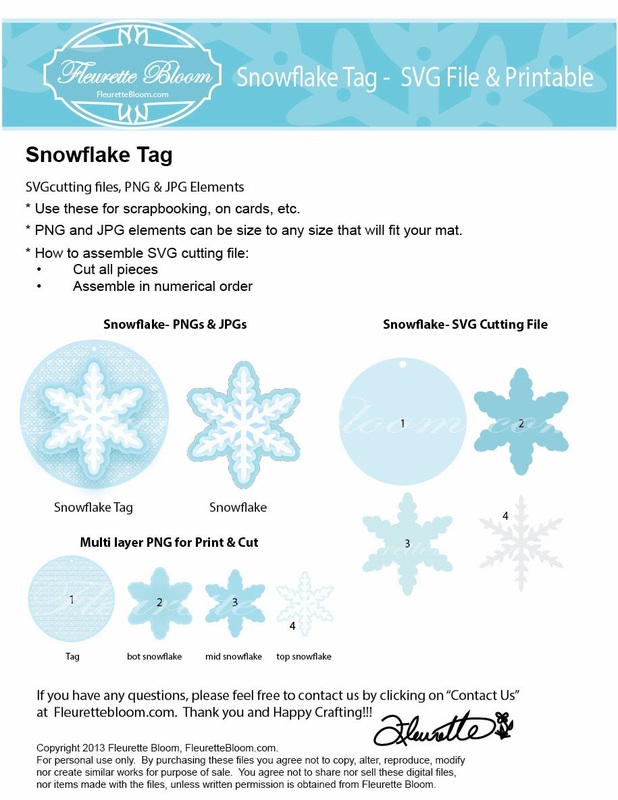 Check out the PDF Instructions too! Winter is in full swing and if you look closely you can find an abundance of beauty just by taking a little time to look at a tiny snowflake, that is how I came up with the new digital paper collection "Let It Snow"! :) There is also so much fun to be had if you live in a cold climate, go out and have a snowball fight! If you live in a warm climate you can imagine yourself in the beauty of these winter shades of blue, snow, snowflakes, snowmen and holly. 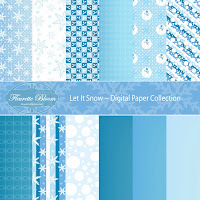 12 coordinating "Let It Snow" digital papers in both 8.5 x 11 and 12x12 sizes.